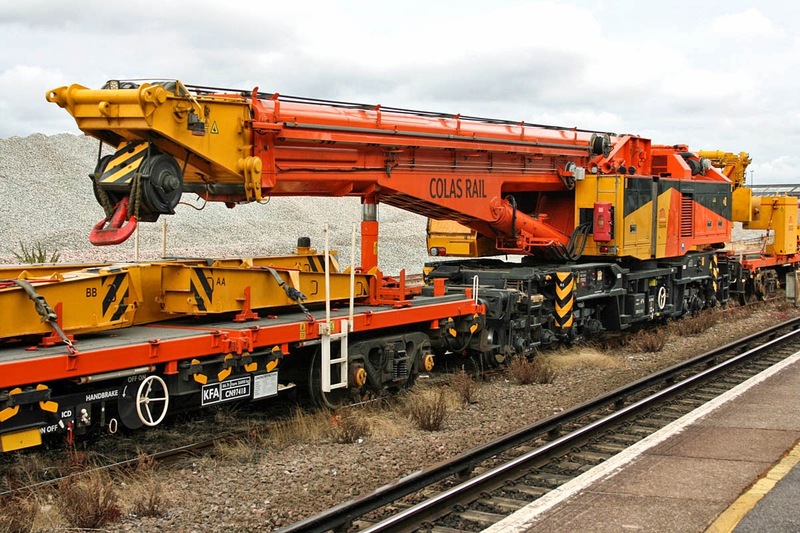 While at Eastleigh to see the two special train workings, and admire the recently ex-works parked Colas 67, the Colas 125 tonne crane drew out of the civil engineering sidings at Eastleigh. 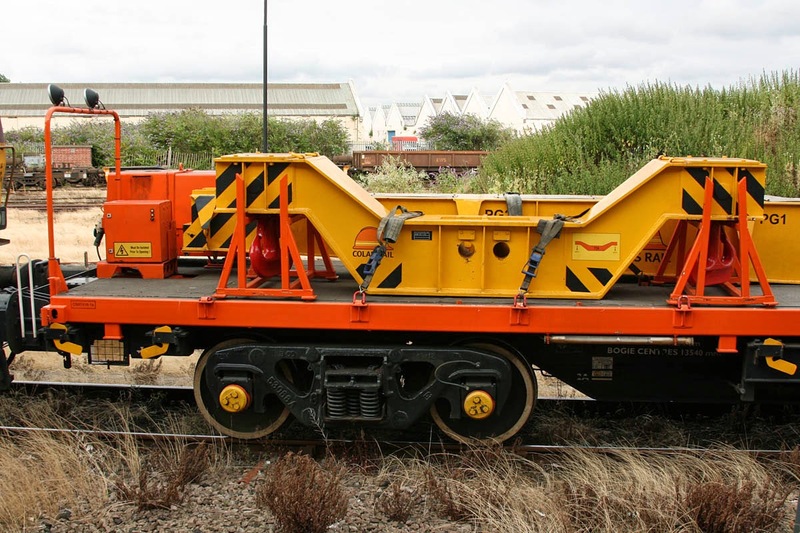 The crane is DRK81612 and its runners are categorised KFA-A numbered CN97416-418. 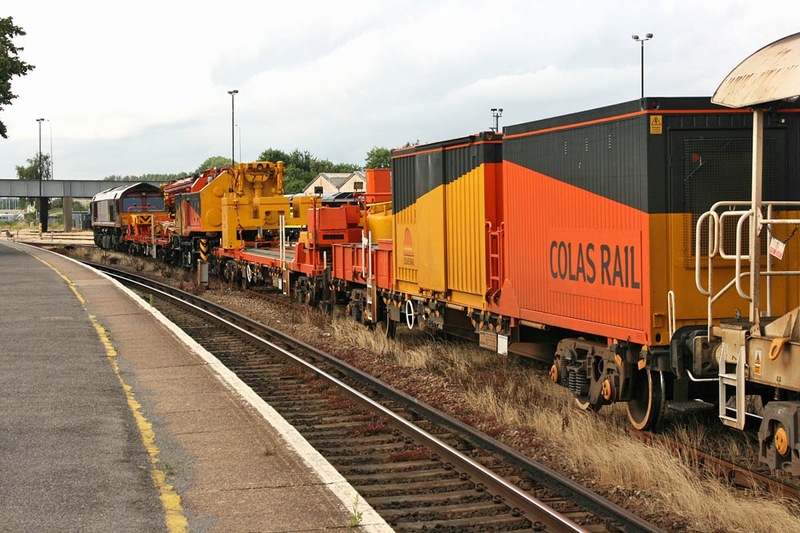 The CN series would have been for Carillion who took delivery of the crane in 2005, transfer to Colas taking place when Carillion sold its interest to Colas in January 2008. 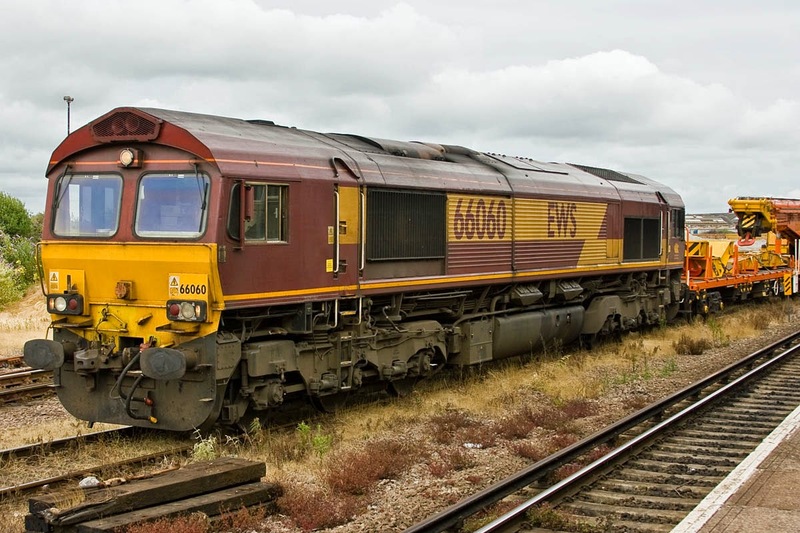 The formation was top and tailed by DBS 66060 and 66041, having arrived at Eastleigh in the Colas convoy from Rugby on the 5th, along with 60087, 70804 and 70810. 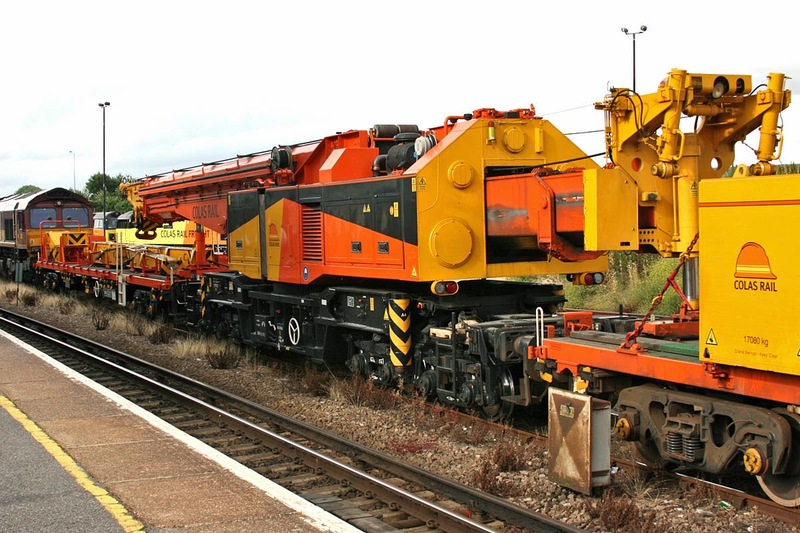 66060 with the crane, apparently preparing for a Saturday night - Sunday morning job. Runner CN97418 with various supports, and the crane beyond. Detail of the material on CN 97418. Crane viewed from the other end. The containers provide mess and tool facilities.